Learn how to utilize your Arduino's internal EEPROM and how you can add extra memory to permanently store data. Some Arduino boards allow you to permanently store data in an EEPROM without having to keep the board plugged in. 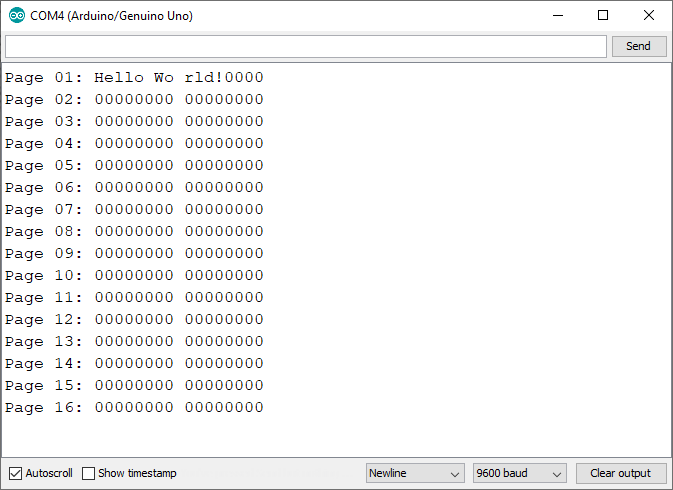 This article will teach you how to write to the onboard EEPROM (if your Arduino has one) and introduce you to an alternative method which allows you to use external memory. You can use this guide for any microcontroller that supports communicating over the I2C bus. EEPROM stands for Electronically Erasable Programmable Read-Only Memory. While you can overwrite the data on the chip, you can only do so a limited number of times before it might start malfunctioning. However, you can read from it as many times as you want. The following example illustrates how you can store a byte. Use the write() method together with a word address and the value you want to store. The address has to be a value between zero and EEPROM.length()-1 and it tells the MCU where to store the value. The read() -method will also take an address as a parameter and return the value as a byte. If you don’t use an Arduino or you want to have extra storage space, you can utilize an external EEPROM IC to store bytes. In this example, we’ll use the 4LC16B (PDF), which is a 16 kB I2C EEPROM. Circuit diagram for adding the 4LC16B external EEPROM to an Arduino. The seventh pin of this IC is a write-protect indicator. Connect this pin to GND if you want to write to the memory. If it’s high, the chip won’t save any data. Reading is possible regardless of the pin’s state. 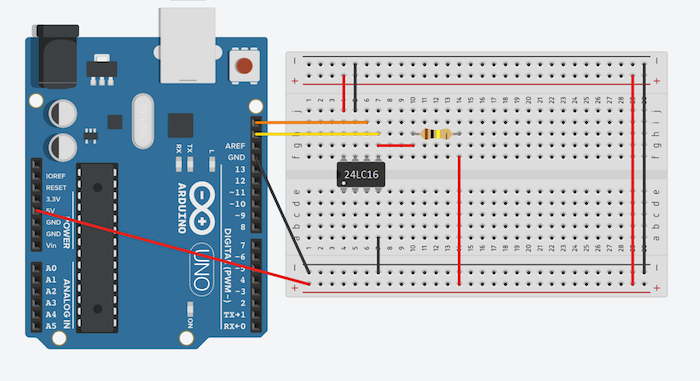 Setting up communication between the Arduino and the external memory is where things get more complicated compared to the built-in memory. The memory is organized in eight blocks of 256 Bytes and each block can be directly addressed. The DEVICE_BASE_ADDRESS (0x50) represents the first one and 0x57 represents the last block. Different chips have different base addresses too. Refer to the datasheet of your EEPROM and update the code if necessary. 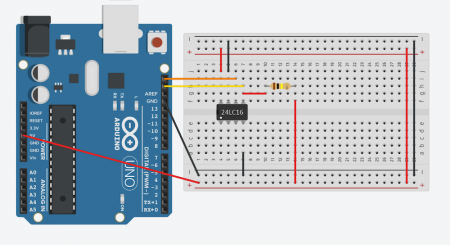 This super simple project is perfect for beginners who want to learn about memory and I2C communications (and anyone who wants to boost their making prowess) because it allows you to permanently store information on your Arduino (or other MCU) even without power. Knowing how to store information makes your projects mobile and also give you peace of mind that the most important parts of your project are stored whether your board is hooked up to power or not. Hi! I am a software engineer and owner of nerdhut.de who loves to experiment with electronics, gadgets and tech in general.